Item # 309092 Stash Points: 1,395 (?) This is the number of points you get in The Zumiez Stash for purchasing this item. Stash points are redeemable for exclusive rewards only available to Zumiez Stash members. To redeem your points check out the rewards catalog on thestash.zumiez.com. Show off your ankles without the fear of sweaty feet with the Girly no show socks in black from Vans. 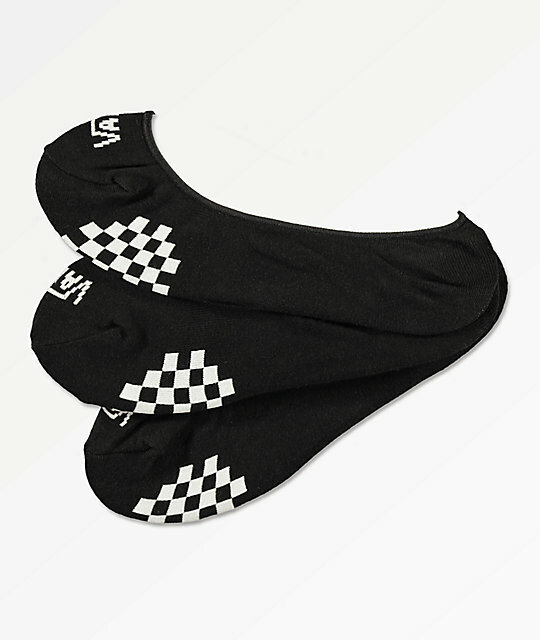 These socks feature a Vans logo on the toes and classic Vans checkerboard print on the bottom. Get a summer look with the Vans Girly no show socks. Girly Black No Show Socks from Vans. Vans checkerboard graphics on the foot beds. Jacquard knit Vans logo on top of toes. 60% cotton, 30% nylon, 3% elastane.